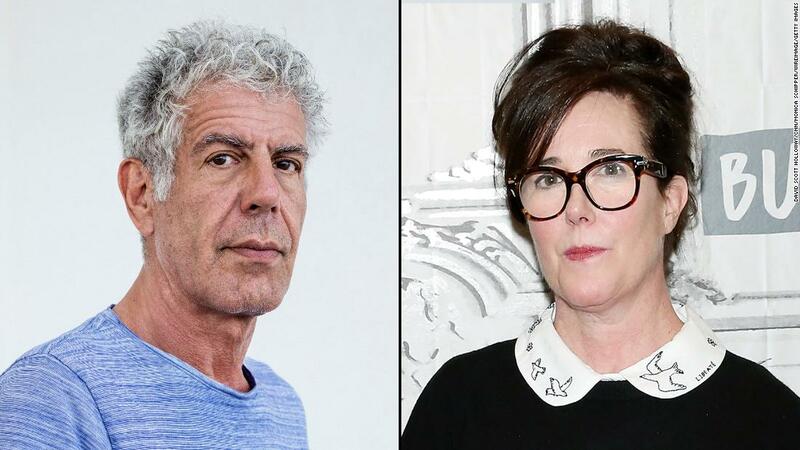 Anthony Bourdain and Kate Spade both choose to take their own lives; something that some would call acts of murder, cowardice or simply a sad choice. All can be true, but which predominates your thoughts is likely a reflection of what you believe politically. The truth is, internal pain of the kind that drives a person to kill themselves is always egocentric. While Kate Spade was an enigma whose life was unknown to all but a few, Anthony Bourdain’s was splashed across people’s TV screens for over a decade. Speaking with a sometimes uncomfortable level of intimacy, he was both cynical and big hearted. Both he and Kate reportedly struggled with depression, Anthony once proclaiming he had to find a way to live for his daughter; in the end he apparently felt she wasn’t worth it. Anthony and Kate lived spoiled privileged lives, and were considered accomplished in their fields. That fame and fortune did not bring them happiness is not surprising, often people’s self worth is lower than their net. Money relieves financial pressure, but it doesn’t bring meaning. It is why Rockefeller sought to eliminate malaria from the U.S., Carnegie spent so much on education, Mellon on a national art museum, and Gates has taken aim at polio. At some point, a person has to come to grips with what really matters. Unfortunately, the now dead celebrities never poured their hearts into something worth living for. To many on the left, the final acts of this pair is only tragic in that they didn’t have professional help in doing so. Assisted suicide is all the rage, with the ill, depressed, and handicapped all told it is an option worth considering. In Europe, the consent of the person being exterminated is not always even necessary. 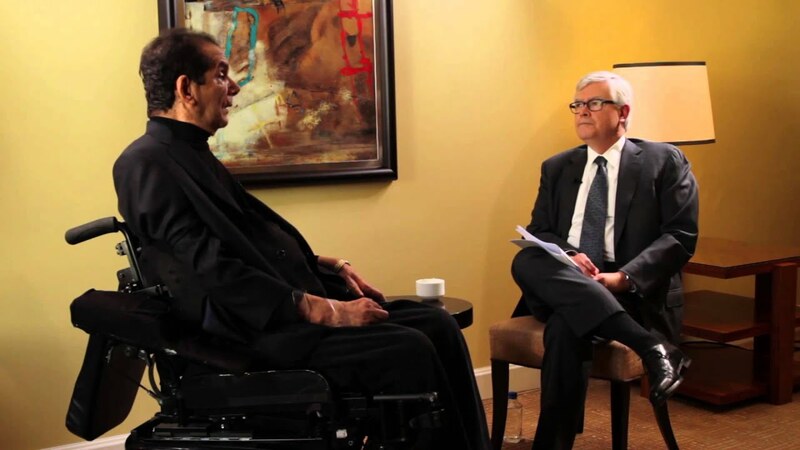 In contrast, Charles Krauthammer, the kind of man the left points to when they try to justify assisted suicide, made every day count. Due to a freak accident in college, Charles was a quadriplegic . He had to struggle everyday of his life just to do normal things, like eat breakfast. Totally reliant upon others to survive, he nonetheless never felt sorry for himself. Engaged, he threw himself into the chaos called life with but one goal, make a difference. A nationally syndicated writer, and television commentator, he defied his handicap and became man on a mission. (watch an interview clip with Charles on Evil in our time here)This week he announced he was losing his fight with terminal cancer, and did so with both bravado and compassion for those around him. A greater contrast to Anthony and Kate could not be found. The conservative mind set, if boiled down to its most concentrated essence, is that not only do individuals matter, they have an obligation to make themselves matter. Liberty without responsibility is hollow and even dangerous. Ordered Liberty, as the founders called it, is not an option but a necessity for societal survival. Cogs in a great machine of life, each person is both important and needed. Charles understood this and tried to do his part to make the great machine better for everyone else. Anthony and Kate saw themselves as disconnected from society, and no longer valued their own lives. If either of the two felt any responsibility for others, like Anthony professed for his daughter, it was swamped by feelings of useless futility. The contrast between Krauthammer and Bourdain is like that between, Burke and Rousseau or the American and French Revolutions. One sought control of their lives, the other sought to cede it to forces beyond them. One side took responsibility for their own actions, while the other sought whom to blame. Some say depression is a disease, but it is not. Depression is a symptom, the disease is lack of meaning in one’s life. Something that drives a person, and gives them something to live and look forward to. To that end, the greatest and most important work is often done by volunteers, people who change the world, even if their influence is limited to a small microcosm of society. Whether your a Rockefeller or Gates eliminating diseases, or grandmother making sure the weekly after church lunch goes off without a hitch, it is the impact an individual makes for the benefit of others that makes the difference. On the other hand, it is the self absorbed rich kid or the poor woman sitting alone thinking that their life has no meaning that feels the need to just die. Mankind is not meant to work for selfish ends, or for no ends at all, but to accomplish something for the greater good. It is written into their DNA as surely as eye color. Sometimes that can be overwhelming if caught up in the enormity of human suffering, but individuals are not called to solve all the problems facing humanity, but to do what each can for who they can. A line from the last Justice league movie is emblematic of the choice when confronted with humanities suffering. When Flash was confused as to where to begin, wallowing in feelings of inadequacy, Batman’s one piece of advice was go in and get one person out of danger. One person at a time, he saved a whole group. Bourdain often seemed fixated on the enormity of the issues he saw facing humanity, needed to concentrate on those he could help. A list that should of started with his daughter, but shouldn’t of ended there. Everyone needs a mission in life, and rarely does that mission land in somebodies lap. One must go out and find where they can make an impact, and do it. Study after study shows that conservatives are happier than liberals, but a simple look around shows that. There are of course angry or depressed people who embrace conservatism, and liberals who are as happy as can be, but the averages are not even close. The reason has a lot to do with the socialism’s transfer from the individual to society the responsibility for caring for their fellow man. A society, that robs people of the kind of personal identity that comes from living for something greater than oneself, is predicated on self-destruction. Anthony often complained that society needed to do more for the down and out, while often excoriating the hypocrisy he saw on the left. He complained, but never saw in himself at least a small part of the answer to the issues surrounding him. As a result, he never saw the value in his own life. Charles was a liberal when he faced life in a wheel chair, but he had to make some choices. He chose personal responsibility, and purpose, as a result he eventually became a conservative. Anthony (and Kate) had everything, but valued nothing. Charles had all the reason in the world to feel sorry for himself, but sought out life. In his words, “I leave this life with no regrets,” “It was a wonderful life..full and complete with the great loves and great endeavors that make it worth living. I am sad to leave, but I leave with the knowledge that I lived the life that I intended.” Anthony Bourdain, healthy and without a real care in the world, hung himself with the belt from his bathrobe.